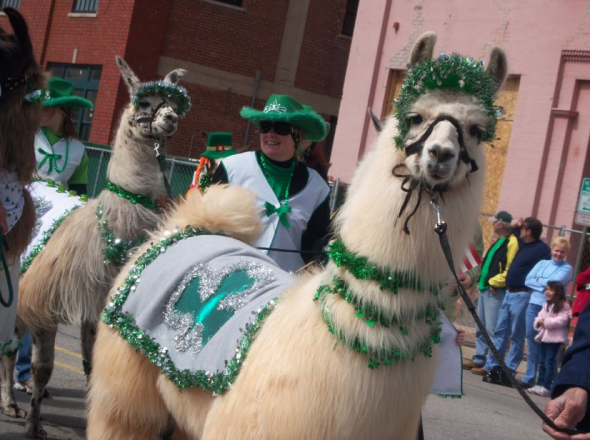 Did you know OKC hosts a St. Patrick’s Day Parade? Yeah, apparently it’s in its 31st year as it was started in 1983. And as luck would have it, it’s been growing in size and quality every year since. The parade begins at Walker and Sheridan proceeding east on Sheridan through Bricktown to Mickey Mantle. According to the parade’s website, there is prime-viewing along Sheridan, around the Myriad Gardens, from most of the sidewalks along the route, and of course in Bricktown. What else should you do? Well, it almost goes without saying you should wear green of some sort, unless your a glutton for punishment. But if you’re going to be drinking, please do it responsibly. Or if you’re going to be irresponsible, hop on a llama and ride home that way. Really whatever you do just make sure getting behind the wheel of a car is not it. Maybe the only way a car should enter the picture is if you’re going to curl up in the back seat to sleep off that drunken Irish haze. 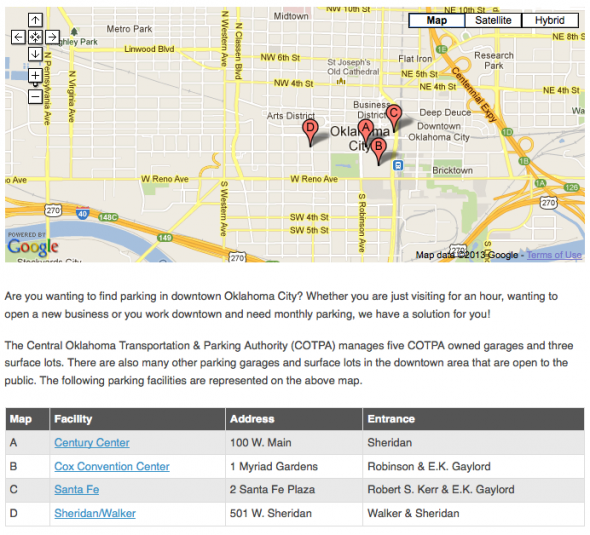 Need a map for parking, well, here ya go. 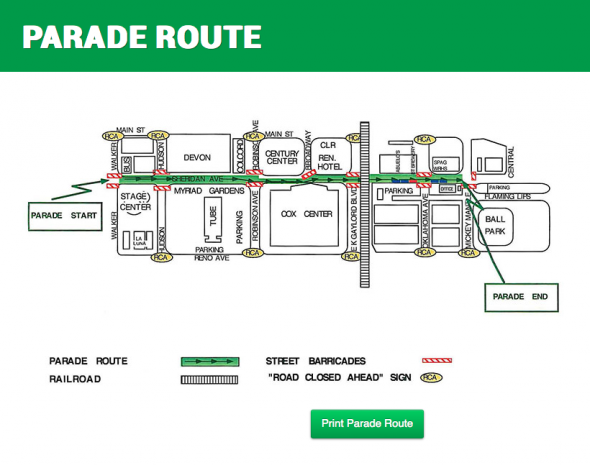 Need a map of where the parade route begins and ends? 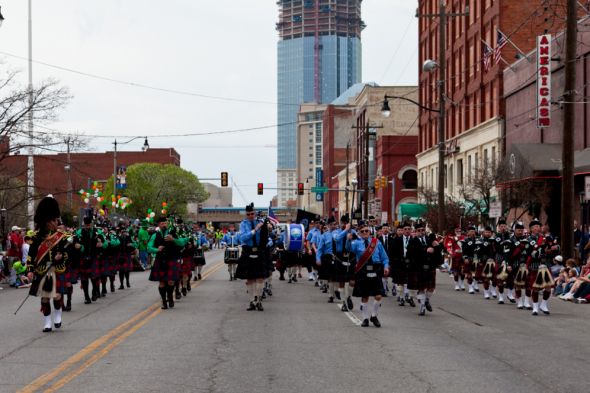 You can also visit the OKC St. Patrick’s Day Parade Facebook page or check them out at okcstpatsparade.com. Tagged 30, animals, Attica State, Bricktown, Emerald Flame, Laura Leighe, Myriad Gardens, OKC, OKC 365, Oklahoma City, Patrick Day Parade, Super Freak. Bookmark the permalink.